The Texas Animal Guardians is a registered, not-for-profit 501c (3) corporation which relies on the support of individuals and companies like yourself to fund its operations and programs. 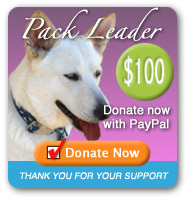 Please, show your support for animals in need! Pick a donation level that you are comfortable with and then click on the corresponding orange “Donate Now” button below. 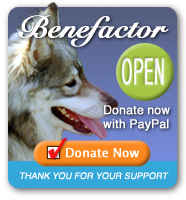 The Benefactor, or “Open” donation option allows you to gift any amount that you choose, be it large or small. 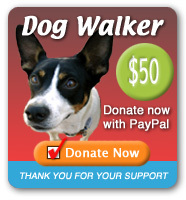 Your generous gift will go a long way towards helping animals in the Hays County, Texas area. We sincerely thank you for your support! 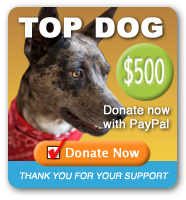 Phone Users: Hold phone horizontal to access all donation buttons! 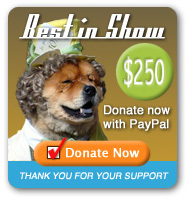 of the links, you will be taken to a secure PayPal form to complete your donation.